Because I am not a millionaire by any means, there are few artists out there in the ‘verse whose albums I will buy sight unseen (hearing unheard? That doesn’t make sense…). But the Blibbering Humdingers are one group form whom I will always immediately press that “Buy Now” button. 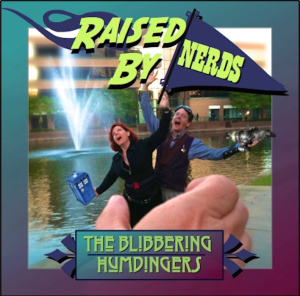 Their newest album, Raised by Nerds, is a multifandom delight. As always, the quality is top-notch and the humor is in full force. There are some great new-to-me songs, some songs I’ve heard them perform at concerts over the past year or two that hadn’t been previously released, and even some clever covers of other WRockers’ songs. 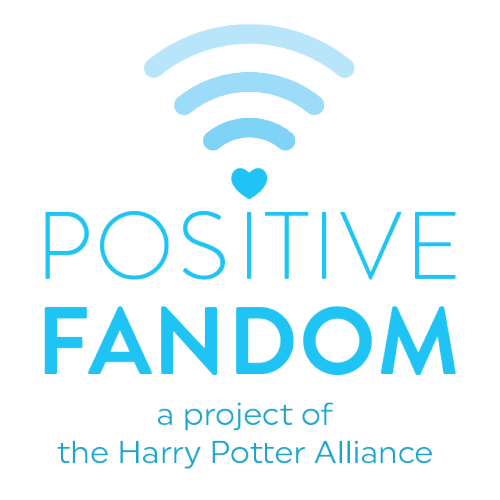 In all, it’s a great collection of songs for anyone with an appreciation for fandom. The only downside of the album I’ve found so far are the painful grammatical errors in several of the song titles *shakes fists at apostrophes that just shouldn’t be apostrophing there. * Oh, actually, I’m still a little sad Battlestar Galactica was left out of “O Captain! My Captain!” but that’s a minor complaint, because the song is still pretty damn epic at over 6 minutes long. Again, I’m still new to the album, but my current favorites are definitely “Engines Make Me Hot” (I still love Lauren’s version, but more Kaylee everywhere is NEVER a bad thing), 99 Death Eaters in the original German (so freakin’ clever, man), “Key to Your Hearts” (awwwww; who doesn’t want a TARDIS, seriously? ), “Hot Girl in the Comic Shop” (I’m not hot, but sometimes even I get looks at the comic book store… though I’m much more the kind of person who would be having that Hulk vs. Spiderman debate internally and not notice being noticed; so I can relate on both sides LOL), and “Dark Mark in the Sky” (so clever and catchy… and I don’t even like westerns…). I really appreciate the Humdingers representing my generation through music because it gives me a chance to actually get all the references, even fun older ones. And, not to get all deep or anything, but it’s fun thinking about the significance of the title song (and album name). My parents are certainly not at the level of nerddom that I feel I have achieved, but they did make sure I’d listened to Lord of the Rings on audio before I turned 5 and had seen Monty Python and the Holy Grail at least a dozen times before my 12th birthday. I was allowed to watch very few shows as a child, but was always encouraged to watch every episode of Star Trek (they probably wouldn’t have minded me watching Doctor Who with them either, but I saw a baddie in an episode at an early age and was scared of that show until 2005). But I definitely fangirl harder than my parents do/did. Which makes me wonder about the next generation. Does the pendulum swing back a little or does the fandom appreciation grow even more extreme? I hope for the latter. And, given the examples I’ve seen in my friends’ kids, I hope that’s the case for many of them. I see nothing wrong with raising one’s children with a strong appreciation for the good stuff Maybe it’s a good thing I don’t have kids, though. I can’t even imagine having to sit down and have a frank and honest “special” conversation about Highlander 2.